By the backside you mean the part that DOES NOT contact rotors right? correct! the part you can see just looking at the car w/ wheel attached! So youre saying you had the same metal to metal grinding on, so it seems, (my right rear rotors) during Accel on your car? God, I thought I was alone. N ot that Im happy you seem to have the same problem, but you are saying there is a fix? 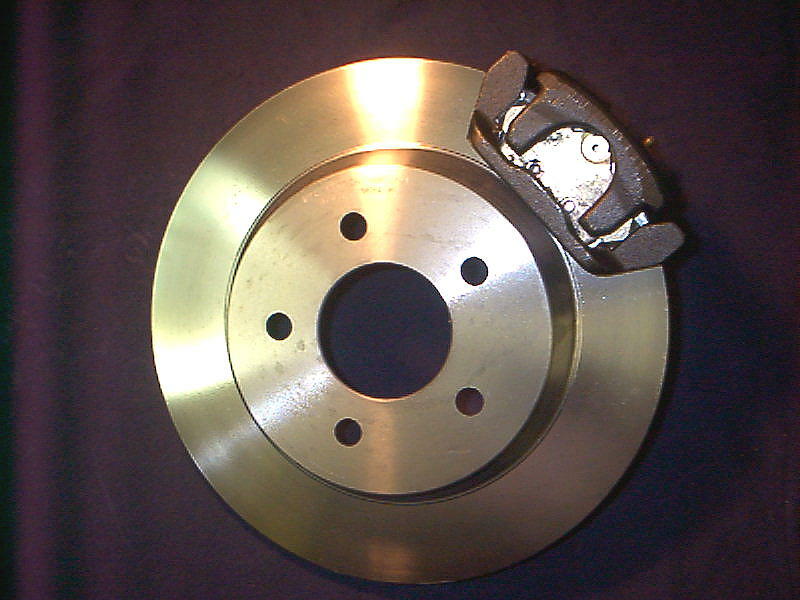 Let me know exactly as I am installing my cross drilled rotors this weekend an I have to take off the calipers to do so. Any help would be greatly appreciated. For us dummies, could you place a picture with an arrow pointing to the part. yes, mellow it seemed to happen alot after heavy accel and letting offfor me.. even if only through 1st gear. as far as the picture that may have to wait until I get home tonight but I will see what I can do. sorry I was trying to get you a solution asap. so this is what you would be looking at on the car except w/ the wheel on the part you would apply 2-3 good squirts of wd-40 would be the shiny almost aluminum foil looking part in this pic. that is where you would spray. Its funny you point this area out because a few days ago, a friend, who is a serious perf expert, drove with me and heard it and said it has to be coming from the brakes. He pointd out the same area, and in that area there seems to be a couple of some sort of retaining clips, and he mentione to look at those and see if I notice some grining wear on them and to clean them up. Maybe th WD40 would do this job for it. As a matter of fact, when th susp shop lowere the car, they took it upon them selves to spray paint my metal color calipers and all parts in between with black paint. Maybe the paint is causing friction. I dont know but Ill give it a try and hope it works. It is such an attractive car to me but it is such an ugly noise as I drive. Thanks for your input. Hopefully it works out for ya.. I know it did w/ me and I was almost at the point I was embarrassed to drive it if I was going anywhere people might hear it.. let me know what you find out.. and let the wd-40 sit for a few mins. before taking it up the street. Thanks bro and embarrassment is exactly what Im talking about. Ill let you know what happens and hope it works. This is exactly why I love this forum. Quick Reply: Friggin Brake squeak! ?